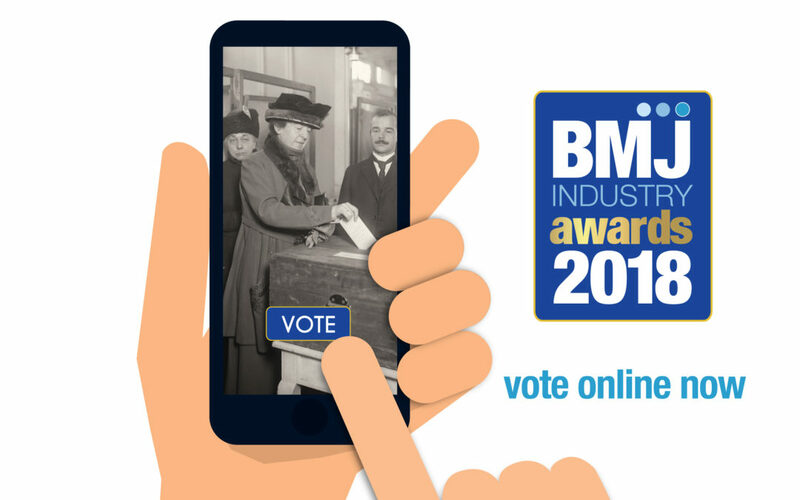 Voting is now open for the first ever BMJ Industry Awards. Professionals from across the builders’ merchants sector are invited to make their voices heard by submitting a vote online at www.bmjindustryawards.co.uk. In what is a groundbreaking format for industry awards, the winners will be decided solely by the online vote. Merchants are invited to vote for the brands that have boosted their business, while manufacturers are encouraged to show their support for the merchants that stand out from the crowd. Voting will remain open until Monday 13 April, giving the industry plenty of time to champion the brands and businesses that they believe in. The recipient of the highest number of votes in each category will be revealed as the winners at the BMJ Industry Awards ceremony, taking place on Friday 18 May at The Brewery, London. As well as high profile awards presentations, the awards luncheon will provide an unmissable afternoon of celebration and networking for everyone involved in the builders’ merchants sector. Guests will enjoy an exclusive drinks reception, a three course meal with wine, multiple opportunities to network with a room full of potential business connections and an afternoon of entertainment from a household name. More details about this year’s host will be revealed as the event draws closer. Attending the BMJ Industry Awards ceremony is a time and cost-effective way for businesses to consolidate existing relationships and build new connections, and an opportunity to reward hard-working teams and individuals for their dedication over the past twelve months. Tickets are in limited supply, so those that wish to be present at the inaugural ceremony are encouraged to secure their tickets early through the secure online booking form available on the BMJ Industry Awards website to avoid disappointment. The fresh format of the awards scheme has resonated across the industry, proven through the support that has already been pledged by a number of market leading companies including ACO Water Management, BA Clic Components, H+H, Hanson, Knauf Insulation, Lakes Bathrooms, Marsh Industries, Stelrad and Stonemarket. Sponsoring the BMJ Industry Awards is a unique opportunity for brands to project themselves to a highly targeted and engaged audience, via a multi-platform promotional campaign in the lead up to the event, at the awards ceremony and in post-awards coverage. With bespoke sponsorship packages available, there are options to suit every budget and business requirement. For more information, contact Max Shannon on 01622 699148 or at mshannon@datateam.co.uk. To find out more about the BMJ Industry Awards or to submit your vote, visit www.bmjindustryawards.co.uk.